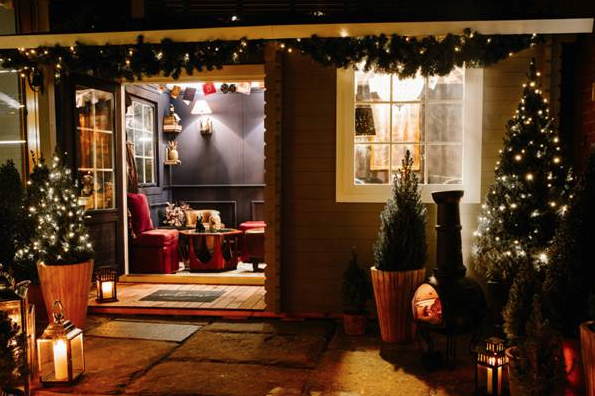 Following the sell-out success of the Gingerbread Cabin last Christmas, townhouse restaurant, and boutique hotel York & Albany has returned with its ‘Awfully British Winter Cabin’ this November, a playful experience that celebrates all things British and quirky. The ‘Awfully British Winter Cabin’ is a remarkably eccentric British home, now in residence in the York & Albany courtyard through to February 2018. With their own smoking jackets and slippers provided on arrival, guests are welcomed to sit back and relax whilst they enjoy a spot of afternoon tea, extraordinarily unusual British cocktails, lunch or dinner canapés, all while they revel in the best of traditional British cuisine in the privacy of their own ‘home’, served by their personal butler. Available for private hire for groups of up to ten guests, the dog-friendly cabin is adorned with an old-fashion telephone, grand chandelier, vintage books, as well as Union Jacks and cushions decorating the armchairs, sofas and poufs, creating the scene of an eccentric British lounge, celebrating all things wonderfully weird in British tradition. The mirrored drinks trolley takes centre stage as guests can help themselves to festive cocktails and aromatic mulled wine. 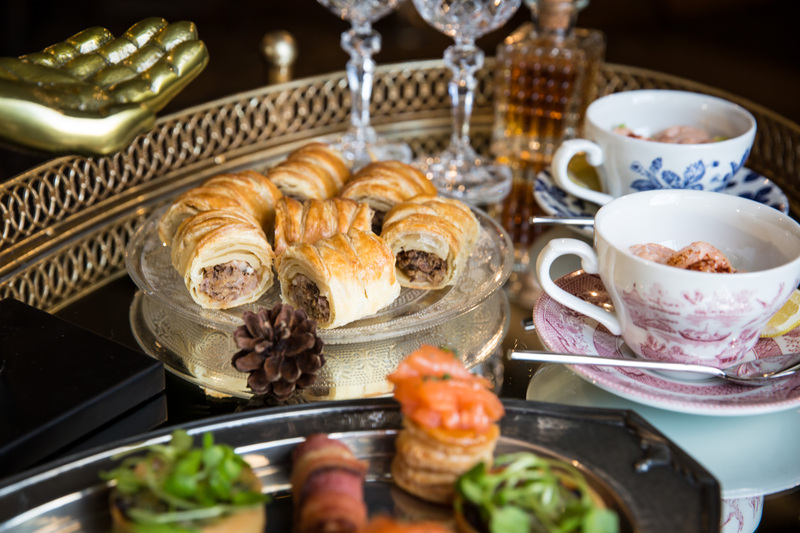 Lunch and dinner sharing menus include haggis sausage rolls, venison pigs in blankets, gin-cured salmon vol au vents and stilton and red onion tartlets. For afternoon tea, guests can enjoy scones with clotted cream and season jam, open sandwiches including roast turkey & cranberry sauce, smoked salmon & dill and duck egg mayo, alongside cranberry cheesecake, blackberry Bakewell, mince pies and ‘awfully British’ cups of tea.